The location where the body of 3-year-old Brendan Creato was found along a creek flowing to the Cooper River in Haddon Township. 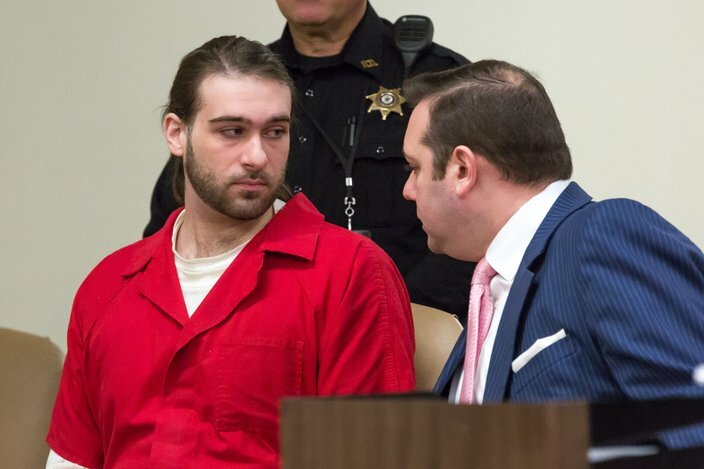 The Camden County Prosecutor's Office is seeking to take the jury in the upcoming Brendan Creato murder trial to the scene where the child's body was located, according to a motion filed Monday. David "DJ" Creato is facing a first-degree murder charge in the Oct. 13, 2015, death of his three-year-old son, Brendan, in Haddon Township. He also faces a second-degree charge of endangering the welfare of a child. His trial is scheduled to begin April 10, with the start of jury selection. The prosecution's motion, which seeks to take the jury to the child's "final resting place" in Cooper River Park, argues that a visit is needed to "understand the evidence better" and will serve to "refute the notion that the boy wandered off on his own." Calling the location of the child's body in the park "somewhat difficult to access," the motion said the prosecution will argue "there is no way a three-year-old-child could find his way there on his own." Given that planned legal argument, the motion says the jury should be able to see the scene firsthand to gain an more complete understanding of it that photos or video do not provide. A spokeswoman for the prosecutor declined comment. A second motion asks the judge to admit to trial all statements made by DJ Creato to Haddon Township Patrolman Kirk Earney and any other law enforcement and or emergency personnel before he was read his rights. Copies of both motions were provided to PhillyVoice on Tuesday afternoon after the court initially said providing the motions – just under five pages – could take as long as 30 days, well beyond the start of trial in just 13 days. Visits to scenes are rarely sought – and even more rarely allowed – given the “time and resources” required for such a visit, according to JC Lore, a law professor at Rutgers University-Camden. “A visit would need to be better than court testimony or pictures of the scene,” added Lore, who is not connected to the case. Philadelphia defense attorney A. Charles Peruto Jr., who is not involved in the case, said there are potential rewards – and risks – with a crime scene visit. “Going to a crime scene is like prosecutor Chris Darden giving the the glove to O.J. Simpson,” said Peruto, explaining there is a risk that “the jury may notice other things” and not just what the prosecution intended. David 'DJ' Creato appeared in court Monday, Jan. 9, 2017 on charges he killed his son, Brendan. The trial was postponed until April 10, 2017. Creato's defense lawyer, Richard J. Fuschino Jr. of Philadelphia, did not respond to requests for comment over the past two days. 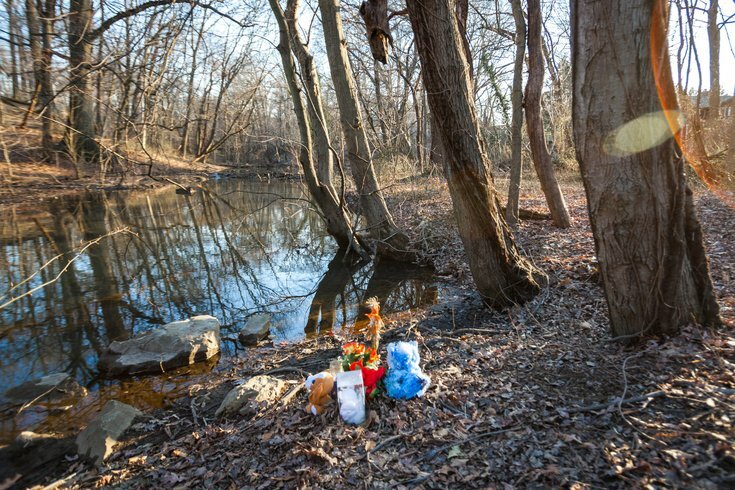 The scene they intend to visit is in the Westmont section of Haddon Township, where the boy’s body was found draped over a rock in a creek flowing into the Cooper River. It is about a half a mile away from where the father and son lived. Such a visit could illustrate to a jury just how far the three-year-old boy would have had to walk alone in the dark to get to the park. It could also drive home the unlikelihood of a child walking that long distance to the muddy streambank and still have the soles of his white socks, the only thing on his feet, remain clean, Lore said. Peruto said there could be a risk, however, “if the defense pokes holes” in the testimony of experts who were at the scene where the body was recovered, such as the medical examiner. Much of Fuschino's pre-trial defense has focused on Camden County's medical examiner, Gerald "Buck" Feigin. Although the boy's body was discovered on a Tuesday, Feigin did not visit the scene until Saturday. The medical examiner conducted the first of three autopsies the day the boy's body was discovered. None of the three autopsies found a clear and distinct cause of death. 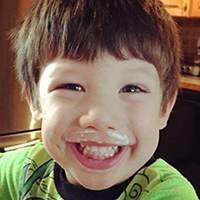 After a long delay, Feigin ruled in December 2015 that the child had died as a result of “homicide by unknown etiology," a rarely used catch-all finding. The prosecution has admitted the case against DJ Creato is circumstantial, with no witnesses and no DNA evidence. But they also contend the case is strong, with the boy last being in the care of his father. There is also an extensive record of more than 9,000 messages between DJ Creato and his former girlfriend, Julia Stensky of Feasterville, Bucks County. Stensky's communications with Creato frequently centered on her resentment of Brendan, according to authorities. The prosecution has also further alleged Creato was subject to “manipulation” by Stensky, then 17, whom he met on an internet dating site. Stensky, who stopped seeing Creato soon after the boy’s body was found, had posted on a social media site that she and DJ were murder suspects long before his arrest. DJ had called 9-1-1 and reported his son missing early on the morning of Oct. 13, 2015, touching off a large search by police and volunteers which ended when a K-9 discovered the boy's body a few hours later at the creek.